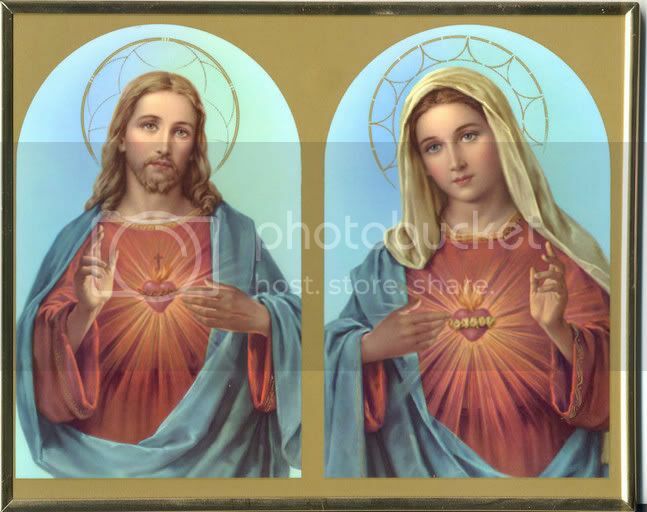 Before expounding the prodigious virtues and the incomparable marvels of the Admirable Heart of Mary, according to the lights which He Who is the Source of all light will be pleased to give me, I shall point out the various meanings of the word "heart" in Sacred Scripture. 1. The word "heart," first of all, signifies the material and corporeal heart which beats within our breast, the noblest part of the human body. It is the principle of life, the first organ to begin to live and the last to be stilled in death. It is the seat of love, hatred, joy, sadness, fear, and every passion of the soul. Of this heart does the Holy Ghost speak when He says, "With all watchfulness keep thy heart, because life issueth out from it." 2. "Heart" is also employed in Scripture to signify the memory. This is, no doubt, its meaning in these words of Our Lord: "Lay it up therefore in your hearts, not to meditate before how you shall answer. For I will give you a mouth and wisdom which all your adversaries shall not be able to resist and gainsay." That is, remember when you are brought before kings and judges for My Name's sake, not to prepare an answer for your enemies because I will give you wisdom, which your enemies will not be able to gainsay. 3. It likewise denotes the intellect, with which we meditate. Meditation is, in fact, discursive reasoning on the things of God, tending to persuade and to convince us of the truth of Christian doctrine. This is the heart alluded to in the words: "The meditation of my heart (is) always in Thy sight." In other words, "my heart, that is, my intellect, is always occupied in meditating and contemplating Thy glory, mysteries, and works." 4. The word "heart" expresses the free will of the superior and rational part of the soul, the queen of the other faculties, the root of good and evil, and the mother of virtue and of vice. Our Lord refers to this heart when He says: "A good man out of the good treasure of his heart bringeth forth that which is good, and an evil man out of the evil treasure bringeth forth that which is evil." Here, "a good heart" means the righteous will of the just man, from which all kinds of good can come, and "an evil heart" means the bad will of the wicked, which is a source of all kinds of evil. 5. We must also understand by the word "heart" that highest part of the soul which theologians call the point of the spirit. It is the seat of contemplation, which consists in turning the mind directly toward God and viewing Him in all simplicity, without discursive reasoning or multiplicity of thoughts. The Fathers of the Church apply to this power of the soul those words which the Holy Ghost puts in the mouth of the Blessed Virgin Mary: "I sleep, and my heart watcheth." According to St. Bernardine of Siena and several other writers, sleep and rest of the body did not prevent Mary's holy Heart, that is, the highest part of her mind, from being always united to God in sublime contemplation. 6. At times "heart" stands for the whole interior life of man; I mean, of course, the spiritual life, as indicated by these words spoken by the Son of God to the faithful soul: "Put me as a seal upon thy heart, as a seal upon thy arm" (Song 8:6), that is, stamp the image of my interior and exterior life in your interior and exterior life, in your soul and in your body, by a perfect imitation of Me. 7. The word "heart" can also signify the Holy Spirit, the veritable Heart of the Father and the Son, Whom They desire to give us for our own mind and heart. "And I will give you a new heart, and put a new spirit within you" (Ezek 36:26). 8. The Son of God is called the Heart of the Eternal Father in Sacred Scripture, and it is of this heart that the Father speaks to His Spouse, the Blessed Virgin, when He says to her: "Thou hast wounded my heart, my sister, my spouse" (Song 4:9), or according to the Septuagint: "Thou hast ravished my heart." And the Son of God Himself is called in Scripture "The breath of our mouth" (Lam 4:20), that is, the soul of our soul and our heart's very heart. All these hearts are to be found in Mary, the Mother of Fair Love, and they form in her one single heart, because all the faculties of the superior and the inferior part of her soul were always harmoniously united. Moreover, Jesus, who is the heart of His Father, and the Holy Spirit, who is the heart of the Father and the Son, were given to Mary to be the soul of her soul and the heart of her heart. To understand more clearly what is meant by the Heart of the Blessed Virgin Mary, we must recall that, just as we adore in the Most Holy Trinity and in the Incarnate Word three hearts which form but one heart, so also do we honor in the Mother of God three hearts united in one. The first heart to be found in the Blessed Trinity is the Son of God, Who is the Heart of the Eternal Father, as we have seen above. The second is the Holy Spirit, who is the Heart of the Father and the Son. The third is Divine Love Itself, an adorable attribute of the divine essence, which can be considered as the Heart of the Father, of the Son and of the Holy Spirit. These three hearts are in reality only one single Heart, and with it the three eternal Persons love one another as They deserve to be loved. They also love mankind with an incomparable charity. The first heart to be found in our Loving Savior, Jesus Christ, the God-Man, is His heart of flesh, deified like all the other parts of His sacred body by its hypostatic union with the Divine Word. The second is His spiritual heart, that is, the superior faculties of His holy soul, including His memory, His understanding and His will, all most specially deified by the hypostatic union. The third is His divine heart, that is, the Holy Spirit, by whom His adorable humanity has always been animated in a higher degree than by its own soul and heart. Thus we have in Jesus Christ, the God-Man, three hearts forming but one, because His divine Heart constituted the soul, the heart and the life of His spiritual and bodily hearts. Moreover God has established such perfect unity between them that these three hearts form only a single heart, filled with infinite love towards the Blessed Trinity and with surpassing charity towards men. The first heart of Mary, the Mother of God, is the heart of flesh enclosed in her virginal breast. Although this heart is corporeal, it is nevertheless completely spiritualized by the spirit of grace and the spirit of God which fill it. The second heart is her spiritual heart, made God-like, not indeed by the hypostatic union as in the Incarnate Word, but by a superlative participation in the divine perfections, as we shall see in the following pages. This heart is referred to by the words of the Holy Spirit: "All the glory of the king's daughter is within" (Ps 44:14), that is, has its origin in her heart and her inmost soul. The third heart of Mary is divine and is truly God Himself, for it is none other than the love of God. This is the heart of which she says: "I sleep, and my heart watches" (Song 5:2), which means according to the interpretation of several holy Doctors: "While I grant necessary rest to my body, my Son Jesus, who is my Heart and whom I love like my own heart, is always watching over me and for me." These three hearts of the Mother of God constitute a single Heart, through the holiest and most intimate union that ever was and will be, next to the hypostatic union. Of these three hearts, or rather, of this single Heart, the Holy Spirit has said twice: "Mary kept all these words, pondering them in her heart" (Lk 2:19 and 51). Our Lady cherished the mysteries and marvels of her Son's life, first of all, in her material and corporeal heart, the principle of life, the seat of love and of the other physical emotions. All the movements, every beat of this virginal heart, the material functions that it accomplished and the emotions that swayed it, existed solely for Jesus and for the things that concerned Him. Her love was spent in loving Him, her hatred in hating all that is contrary to Him, her joy in rejoicing in His glory and His grandeurs, her sorrow and compassion in bewailing His trials and sufferings. The same may be said of every emotion of her bodily heart. Secondly, Mary kept all these things in her spiritual heart, that is, in the noblest part of her soul, in the inmost recesses of her mind. All the faculties of her soul were constantly applied to contemplating and adoring everything that took place in the life of her Beloved Son, down to the very smallest details. Thirdly, Our Lady kept all these things in her divine Heart, that is, in her Son Jesus, who was the mind of her mind and the heart of her heart. He in turn kept them for her and recalled them to her mind when necessary, that she might feed herself in contemplation upon the mysteries of His life, rendering them due honor and adoration, and repeating them to the holy apostles and disciples, who were to preach them to faithful. This then is what is meant by the Admirable Heart of the beloved Mother of God. this is the worthy subject of which I shall have to speak in this book. the next three chapters will treat in greater detail of the corporeal, spiritual, and divine Heart of Mary. In the rest of the book, you will find comments proper to her corporeal heart, others pertaining only to her divine heart, While additional characteristics will be common to all three. Every word that I write, every point that I make, will further the spiritual progress of my readers, if they will but lift up their hearts to God as they read, in praise and thanksgiving for the innumerable graces and treasures of the Heart of Mary. O Jesus, Son of God and Son of Mary, my task is great and beyond my power, but I trust in Thy goodness and in the love of Thy Holy Mother. I seek nothing as I, a sinner, strive to show forth the wonders of the Heart of Mary. Nothing, except to make some small return for the countless graces received from Thy paternal Heart through the loving Heart of Thy Mother. To Thee, O Jesus, I surrender myself, my mind, my heart, and my pen for one purpose only: that my readers may understand and cultivate a lively devotion to the Most Admirable Heart of Thy Blessed Mother.